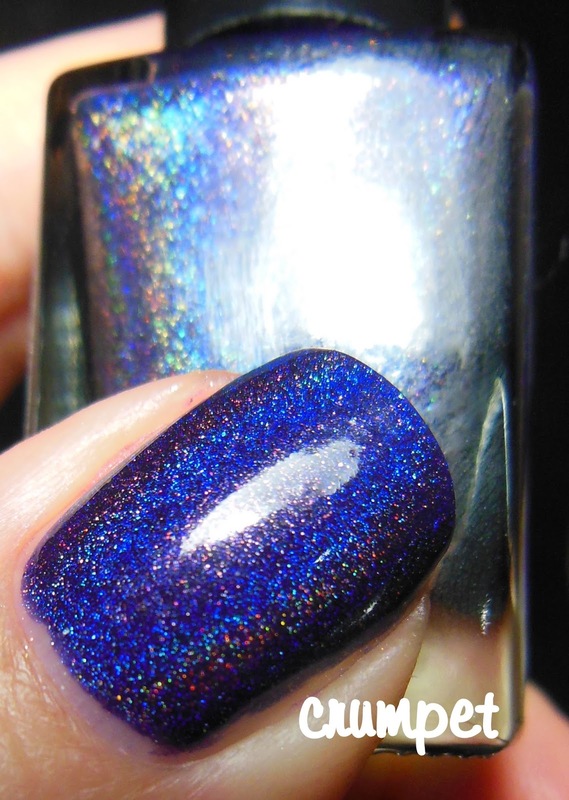 Today's jaunt to the vault rescues some Cirque swatches from just over a year ago. So why did these ones linger? Well, Cirque is one of those brands I struggle with. No matter how gorgeous they look on other people, I am just not slam-bammed when *I* wear them. Maybe it's the indie equivalent of me not liking Essie, I don't know, but I am always slightly disappointed with my Cirques. 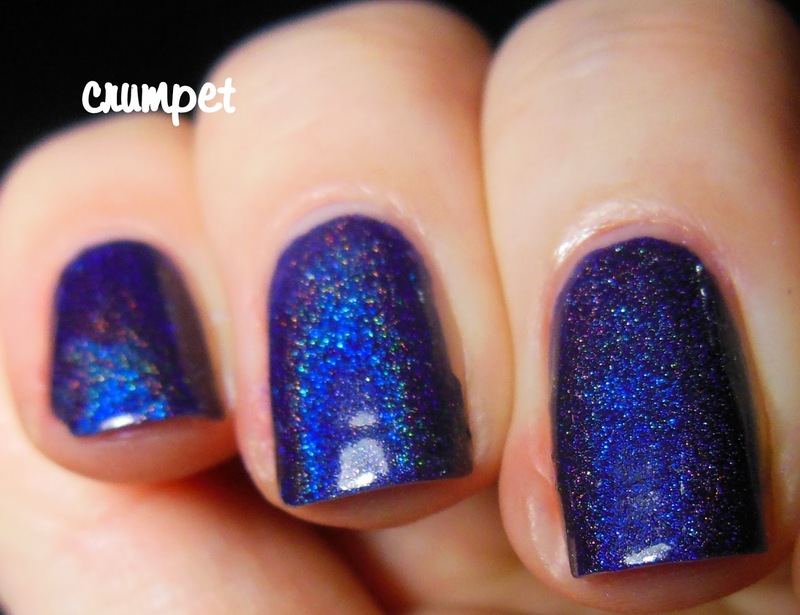 Fascination Street though is probably my favourite Cirque - dark purply bruisey mystery, what's not to love? 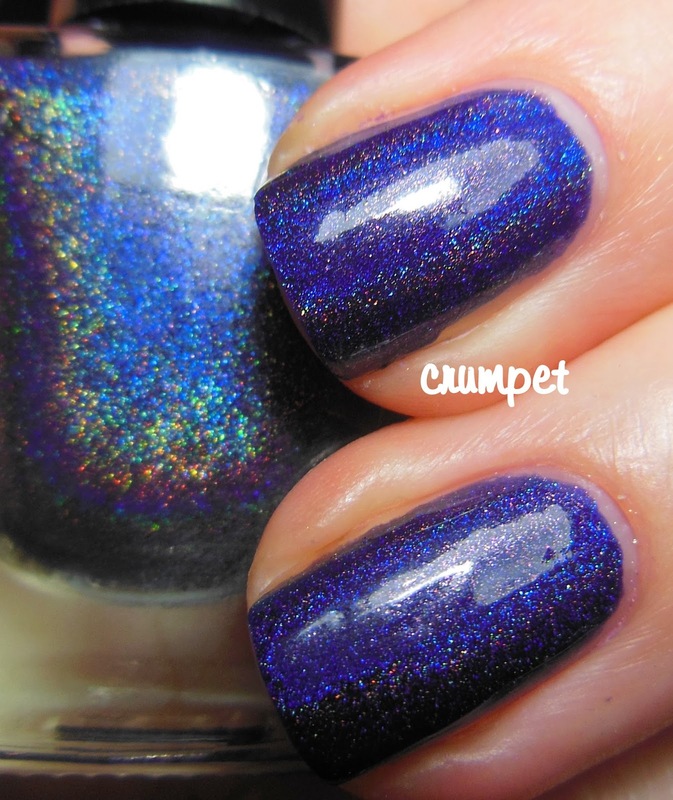 This one just suffered by comparison to all the other amazing purple holos I own. Cape Liz I wanted to love, but look how flat it looks on my nail. 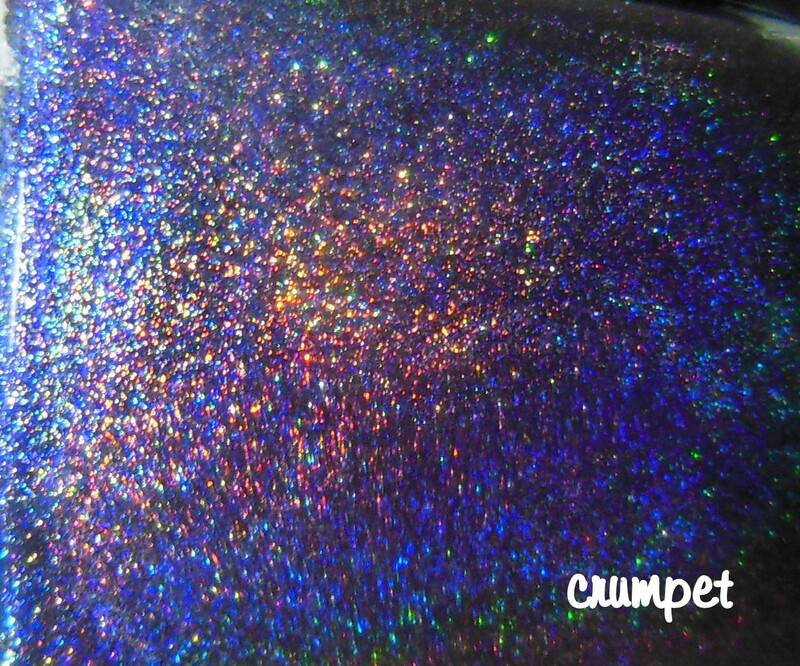 It had lovely sparkles, but they were a little shy, and in the end I decided I preferred Stormy Skies by Girly Bits. Also, this separated dreadfully in the bottle, even though it was brand new. Sad times, panda, sad times.